Everyone knows the old rule: "Don't let them see you cry." But today there are some new rules that make space for women -- and men -- to show some emotion at work. 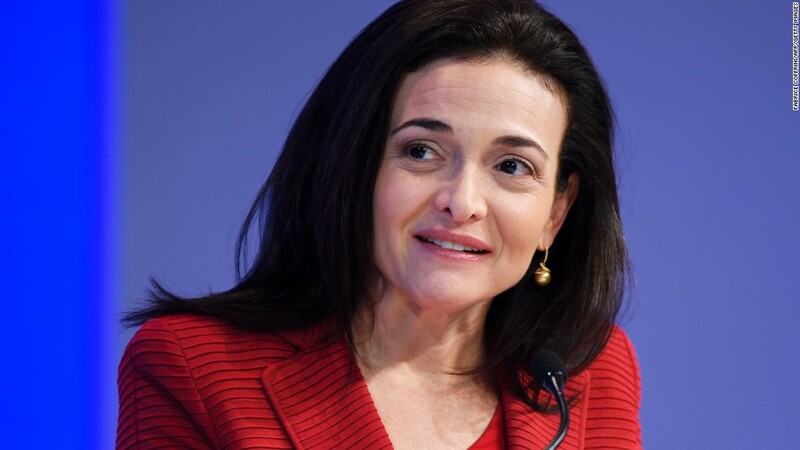 Sheryl Sandberg infamously admitted that she's cried at work before (at Facebook! As COO!). And according to Anne Kreamer's book "It's Always Personal: Navigating Emotion in the New Workplace," that's not uncommon. A much greater number of women than men admitted to turning on the waterworks on the job -- 41% of women surveyed compared to 9% of men surveyed. "People of all levels of management have cried," Kreamer says. "That belief that if you cry at work you won't achieve the highest levels -- it's simply false." Sometimes it's work, sometimes it's personal and sometimes it's just happening -- and there's nothing you can do but ride out the wave. Here are some tips on how to show a little emotion at work, without losing the respect of your peers. We may want to pretend like our crying episode never happened, but if you don't own up to it and discuss it with your colleagues, they're open to interpret your red eyes or sniffy nose as something much more serious or worrisome. "Just a few words can give someone enough context to say 'OK, it's not about me. It's not about this situation,'" said Jeffrey Sanchez-Burks, management and organizations professor at the University of Michigan. When journalist Katie Hawkins-Gaar's husband died earlier this year, she took a three-month sabbatical before returning to her job at Poynter (Hawkins-Gaar previously worked for CNN). When she did, she had a crying plan in place, along with a pin that proudly declares her a member of "team cry." Hawkins-Gaar's tips for crying at work: wear waterproof mascara. Keep tissues on hand. And, most importantly, talk to your boss about what is going on. "I'm pretty open about, 'Here's where I'm at today and here's what I'm feeling.' I've just been having much more productive conversations with my boss and other colleagues because they're empathetic to where I'm at." Most would agree that bursting into tears in front of other people -- in a meeting, in the boss's office, at your desk -- is the least ideal scenario. "It's not going to do anybody any good if you're just sitting at your desk sobbing, right?" Hawkins-Gaar says. "Find a place, whether it's a bathroom stall or a quick walk around the building or even a trusted colleague you could talk to and blow off some steam with." The idea here is not to try to hide your crying, but instead to take a break. Stepping away gives you some room to breathe (and yes, maybe to cry). As Sanchez-Burks says, "Crying is emotional information." Pay attention to what your tears are telling you. After your cry, take a second to self-reflect. Ask yourself what prompted the sobs. Are you stressed? Hungry? Fatigued? Fed up? "If somebody feels such a powerful emotion, there's something that needs to be brought into the open," Sanchez-Burk says. And if the crying doesn't stop? Maybe it's time to figure out the common denominator that keeps upsetting you. "If you go home every day and cry, my supposition is that you are not in the correct job," Kreamer says. "It's an opportunity to step back and say 'I'm clearly miserable. Why do I feel trapped? Why is nobody hearing me?'" When Hawkins-Gaar was managing her own team at work, she paid special attention when an employee cried. She recognized it as a signal that something else was afoot. And when she'd feel the urge to cry herself, she'd use it as an opportunity to have a bigger conversation. "I'm a big fan of the idea that there's power in vulnerability, and if you're showing your team 'I'm a human being and here's what's going on with me,' you're telling them that you trust them with that information," she says.